What a day…Ron went to school! 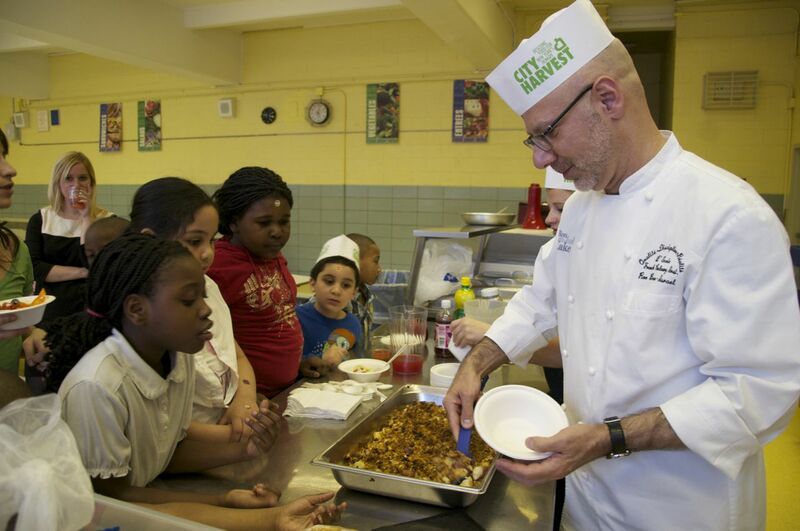 Yesterday Ron went to school at PS 59 in Brooklyn to participate in City Harvest’s Cooking Matter’s for Kids program to give a few hours of his time. 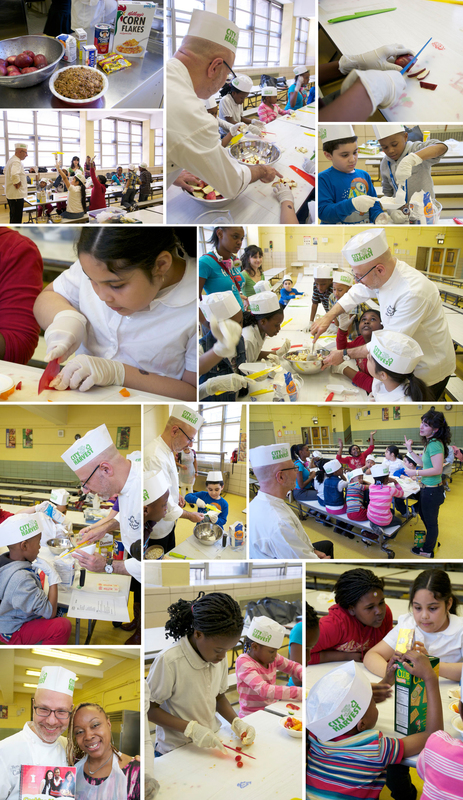 This program engages elementary school students in cooking healthy meals and promoting a healthy lifestyle. Ron was there to celebrate their graduation of the program and share his healthy fruit crisp recipe and cooking tips with the students. 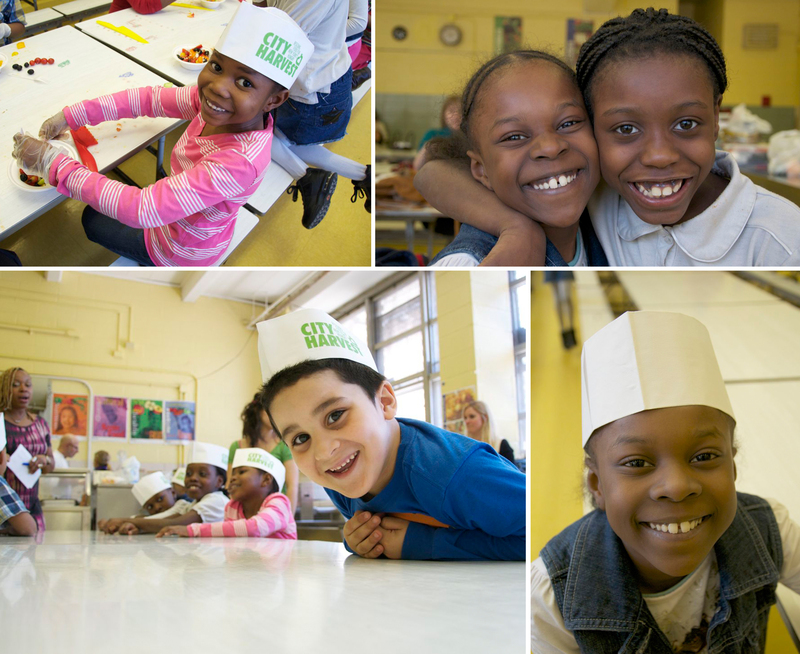 What a great group of kids - these happy faces greeted us for an afternoon of cooking fun! Ron and the kids worked together in the school cafeteria cutting apples and mixing a delicious streusel topping made with corn flakes, oats & chocolate chips. Ron assisted the students in cutting, mixing and measuring. I think what impressed us the most was the information the students were being taught. One of the many things these students learned is how to read labels on boxed foods you find in the supermarket. Knowledge is power people – these youngsters take this information home to their parents and help them food shop, bringing a healthy eating lifestyle to the whole family. Ron and the kids whipped up a delicious apple crisp together. Ron was there to assist the kids in cutting, measuring and mixing. While the crisp was baking, the students also made a greek salad and had one last nutrition lesson before enjoying dessert. After the crisp was baked, Ron dished out bowls to the kids so the could taste the fruits of their labor. The kids loved their dessert! 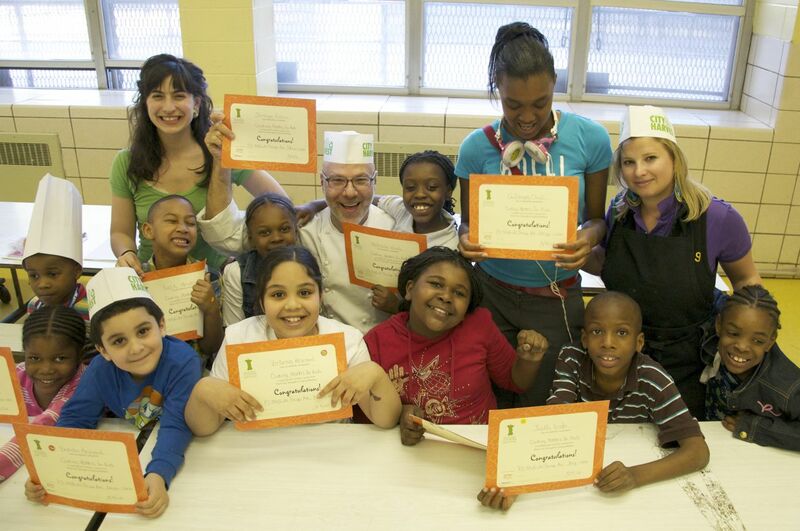 Here is Ron with the graduating students and instructors from City Harvest. It was a fun afternoon of cooking and learning and Ron and myself had a great time!